This is a cool headset design, from designer Catherine Wong, I love its complex structure and texture, imitate human connection joints in structural design, naturally bending into headset modelling, the user can adjust the curvature of the headset flexible to suit oneself, let oneself listen to the wonderful music in the most comfortable state. And unlike the headset earplugs that have large size can ensure enough creativity, some earplug plug in the ear almost let people don´t pay attention to the ordinary, we have witnessed a lot of earplugs, is simply to do some modification in color and pattern, so that the headset looks more beautiful. But creative headphone products have been in endlessly, and if an earplug is well designed, it will be as striking as headphones. 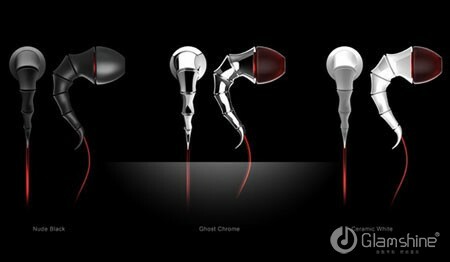 Here´s an earphone that is quite different. It looks like a skeletal joint, and it looks especially different.